“Le Beaujolais Nouveau est arrivé!” Yes, this week—as it does every third week of November—France’s Beaujolais Nouveau wine (literally, “new” Beaujolais) arrived on our shores. And, like every year, restaurateurs across the land hustled to be the first to uncork the virgin bottles of 2012 Beaujolais Nouveau, France’s flimsy little summer cottage of a wine. Each year, at precisely one minute past midnight on the third Thursday in November, Beaujolais Nouveau is released to the world in a frenzy of bottling, buying and guzzling. Cases of this young wine are sent by train from warehouses in Beaujolais (a wine-producing region in Burgundy, France) to Paris bistros, and on to restaurants and stores in North America within hours of their release. Back in the days of the Concorde, the British Airways and Air France supersonic jets would rush the precious cargo of Beaujolais Nouveau to New York City, where it would be uncorked within a few hours of release. But is all that fuss warranted? Well, to be honest, Beaujolais Nouveau is primarily a slick marketing ploy—although, that doesn’t mean it can’t be one of autumn’s simple pleasures. Originally, Beaujolais Nouveau was drunk in France to give the public a preview of what the regular Beaujolais wines would taste like for that year. But due to its increasing popularity and positive effect on winemakers’ cash flow, about one-third of the Beaujolais crop now winds up being sold as Beaujolais Nouveau. The rest goes into making three qualities of Beaujolais wines, which are, in ascending order of desirability and price, Beaujolais, Beaujolais-Villages and Cru Beaujolais. Unless you’re making a tubful in your basement, wine doesn’t get much younger than Beaujolais Nouveau. The grapes and juice for Beaujolais are picked, fermented, bottled and sold within a matter of weeks. Five days is a common fermentation time for Beaujolais Nouveau. That quick vinification means that this will not be a wine for the ages. It’s not a wine for your cellar. Most Beaujolais Nouveau hits its peak around the Christmas holidays, and it’s pretty much all washed up by Easter. Beaujolais Nouveau is made from Gamay grapes, which produce a lightweight red wine that is acidic, but mostly tannin-free. Its aroma is intensely grapy (think Welch’s), though raspberry flavors are also common. It’s a fruity, juicy, pinkish-purple wine that slides down the gullet effortlessly—a “training wheels” sort of red wine that even folks who don’t usually favor red wine can enjoy. It’s certainly not a wine to ponder. It’s only a coincidence that Beaujolais Nouveau is made available just in time for the holidays—well, coincidence and skillful marketing. It’s a wine that is quite versatile and very much at home on the holiday table. Because of the Gamay grape’s fruity sweetness, it’s a good foil for spicy dishes and even curries. But its lack of tannins also makes Beaujolais Nouveau a fine accompaniment for salads, vegetables and fruits. In Paris bistros, classic food matches for Beaujolais are cold chicken, charcuterie, pÃ¢té, pizza and cheese. It can also be a good choice to go along with holiday dinner fare such as turkey, stuffing, gravy and pumpkin pie. Just be sure to serve Beaujolais Nouveau cooler than you would most red wines. In fact, you’ll want to chill it down to about 55 degrees Fahrenheit, which will help bring out the fruitiness of young Beaujolais. 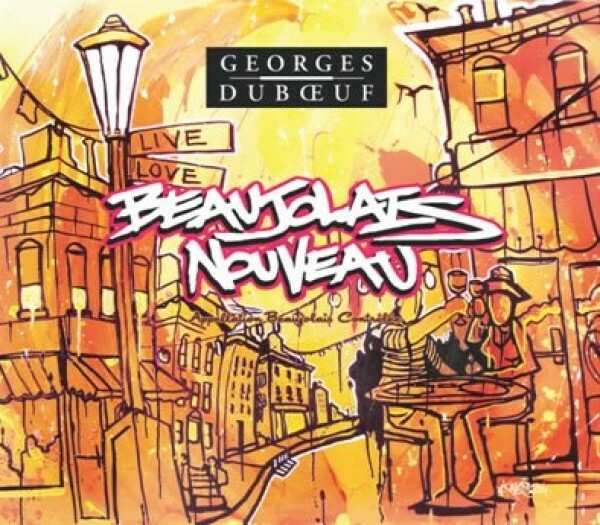 The first bottles of 2012 Beaujolais Nouveau to hit Utah include Georges DuBoeuf Beaujolais Nouveau ($10.49), Georges DuBoeuf Beaujolais-Villages Nouveau ($11.98) and Domaine Dupeuble Beaujolais Nouveau ($19.75).